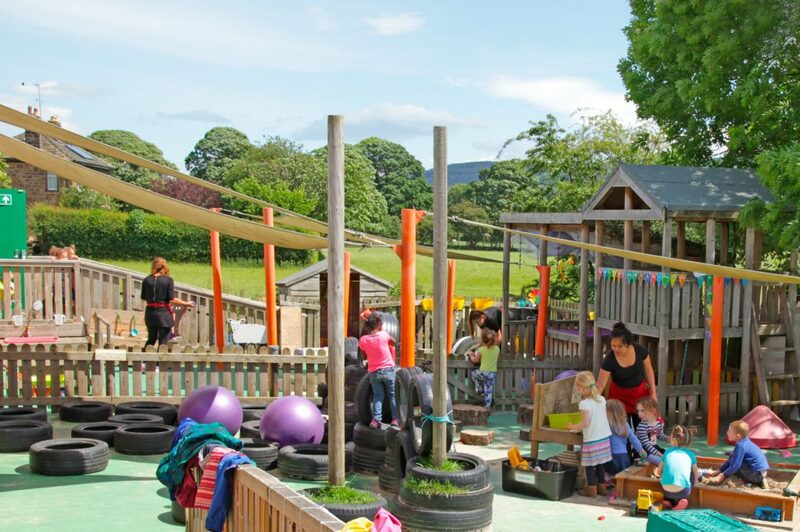 At The Little Green Frog Day Care Nursery, we provide a safe and caring environment where each individual child can blossom to become independent, responsible and happy. Children learn from the real world and are inspired by nature. For children, play is their work and so we work to ensure that it is meaningful for them. We recognise that all experiences that small children have are learning experiences. Because of this we are loving and thoughtful in all of our interactions; we are always teaching the children and in this natural and unpressured way the children are always learning. Children benefit from spending time with highly motivated and trained adults so we have high expectations of our team and we all support each other to be the best we can be. Families are encouraged to be involved at The Little Green Frog, through sharing information about children’s development to enjoying our family barbeque. Welcome to The Little Green Frog! Give us a call today on 01943 466230 to set up your show around.